Surprise guests? Don’t worry. 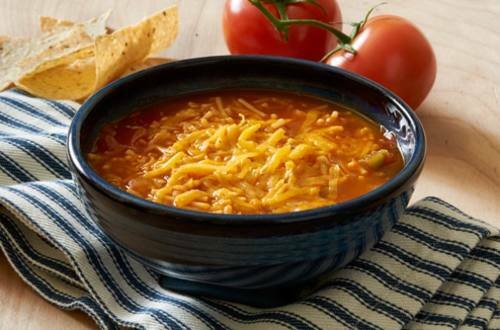 This Quickest Tortilla Soup recipe is easy to make and has all the flavors to please any crowd. 1 Prepare Knorr® Fiesta Sides™ - Spanish Rice according to package directions. Stir in remaining ingredients. Serve, if desired, with shredded cheddar cheese and tortilla chips.